At times our people ask why they suffer oppression or injustice. One of the reasons explained in this chapter is because they “willing walked after the commandment” of men while rejecting those of God. Christ explains this in detail in Mark 7:6-8. Since the whoredom of Israel was to go and worship false gods; such as stocks meaning a tree or wood the Heavenly Father has become an enemy. 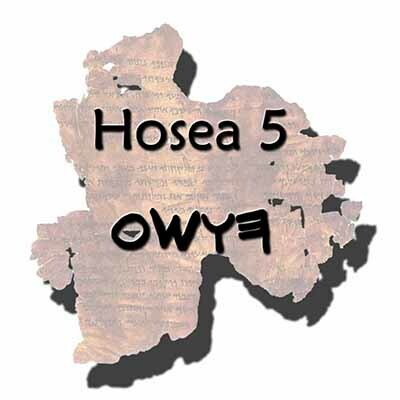 It is written in Romans 8:7-8 and James 4:4 the same thing that Hosea was expressing. That anyone that doesn’t keep the laws but uphold their carnal adulterous ways is an enemy to God.Like today our people put up Christmas trees, raising their children in the belief of a false god that see their “good” and “evil”. However if you tell them to keep the Lord’s Day holy which is the Sabbath they will not frame their doings to turn unto God. For this reason the Heavenly Father has hid his face until our people (so called Blacks, Hispanics, and Native American Indians) acknowledge their sins.